Do you have a credit card? Roughly 70% of adults in the U.S. do. In fact, Americans average 3.5 credit cards per person – that’s a lot of plastic! Even with all that buying power in their wallets, most consumers have no idea the ways that they use (or misuse) their credit cards can affect their health, their relationships, and their credit scores. Many factors go into mounting credit card debt: impulse shopping, health emergencies, the loss of a job, marriage, divorce, a death in the family. With this debt comes stress, arguments, loss of sleep, inability to pay other bills, worry, health problems, crumbling relationships… Does any of this sound familiar? Increasing credit card debt and a lack of knowledge about how credit cards really work have created a new social phenomenon called “The Plastic Effect.” And if you have a credit card, The Plastic Effect can affect YOU. 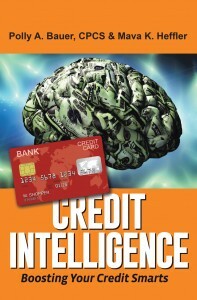 In this new book, internationally recognized credit card expert, Polly A. Bauer, CPCS and attorney Stephen Lesavich, PhD, JD, have selected 25 of the most common urban legends influencing the use and misuse of credit cards. The authors, as business leaders and credit card users, walk you through these urban legends about how credit cards are used and misused, explaining what is true and what is likely to cause you trouble. You’ll get access to resources and additional information about each urban legend, tips from industry experts, and guidance that will help you use your credit cards more intelligently and effectively. You’ll also learn how to understand your credit reports, improve your credit score and manage your debt in a way that puts the power back in YOUR hands. In short, this book will help you break free of The Plastic Effect. Written by Polly Bauer, a credit expert and Mava Heffler, an international brand builder, have unmatched experience and savvy when it comes to knowing how to avoid emotional marketing manipulation and when to say “no” to tempting sales promotions that are all to often too good to be true. Together they share credit management strategies for improving your overall financial health and they do it by blending 60 years of combined credit card industry experience with true caring, common sense and humor.